7th Battalion Yorkshire Regiment. Son of the late Robert and Emily Sarah Goodall. 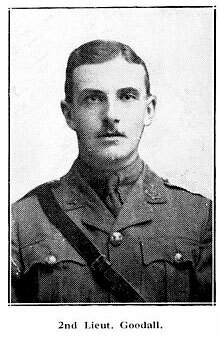 Killed 6 November 1916. Aged 22. The photo above, and the brief obituary (below) from an unknown source, have been provided by Richard Roberts (<richard.nsw@googlemail.com>).